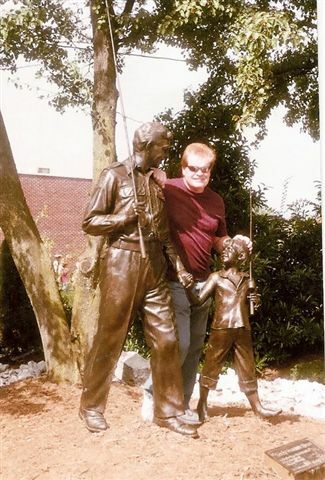 Me with the "Andy Griffith Show" TV Land statue at the Andy Griffith Playhouse in Mount Airy, NC. TV Land places statues in towns that were featured in classic TV series such as Mayberry. I performed as part of the Andy Griffith Show 50th anniversary celebration in 2010.